Shopping for your loved ones on Valentine’s Day can be difficult, especially for those who are picky or tight-lipped about their preferences. However, there is one gift that is always sure to please: American clothing. From women’s outerwear to men’s accessories and even dog collars for the furry friend in your life, at Over Under Clothing there is a range of options to choose from, made with quality materials and innovative designs. Their impressive inventory covers women, men, and pets, so you can make them your one-stop-shop for all your holiday needs. For Her: Shopping for the women in your life? If you’re unsure of which American clothing garments fit her style, why not go with jewelry instead? A classic Valentine’s staple, their beads and bangles jewelry selection offers a unique style your loved one will adore. For Him: Shopping for men’s Valentine’s Day presents can be challenging, especially when they claim there is nothing they need. This year, surprise him with a dress shirt to keep him looking dapper. 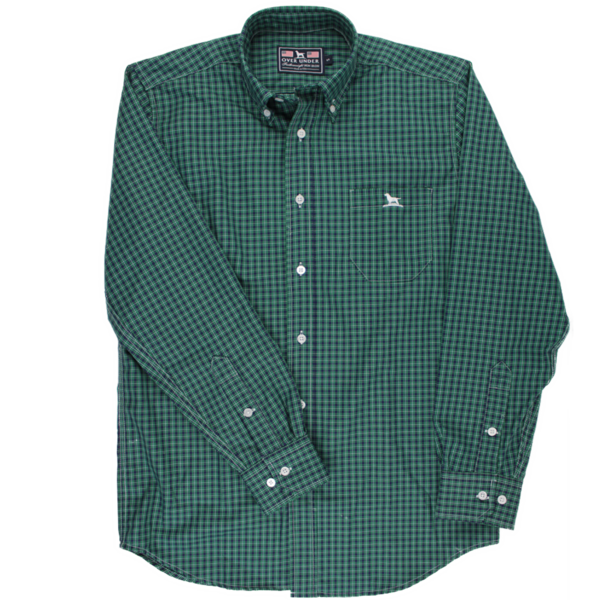 There’s a large selection of shirts and American clothing items to choose from, depending on your man’s style. Whether he’s a fan of the classic button down or is more partial to the preppy polo style, he’ll love the way he looks and feels in this soft, American-made garment. For Fido: We love our pets with all our hearts, so why forget them on this celebrated day of affection? Get your pet a brand new collar made from sturdy American material that will keep him stylish and safe. Whether you need a waterproof option for your lake-loving pup or are looking for something style-centric to make him stand out from the pack, your dog will love his new luxury option. Skip the headache of rifling through the mall for Valentine’s Day gifts this year and turn to Over Under Clothing. Proudly boasting 100% American-made items, you can trust that you’re getting the absolute highest quality your hard-earned money can buy. Plus, with their easy-to-navigate website, you can forget about crowded shops and make the holiday simple this year. Visit online to shop their American clothing items or call them at (904) 619-0577 to speak with a friendly representative.